The market hasn't been kind to gold bugs... well, for 3 years now. In terms of targets lower, it doesn't look like there's much until 100. There's potential for a shakeout here. When It's Obvious, Watch Out! 1. It acts as a magnet.If the level has been a key pivot level in the past but it hasn't been tested in a while, it has a high odds of being tested soon. This relates to anchoring bias in behavioral finance. 2. The violation of that level fails. 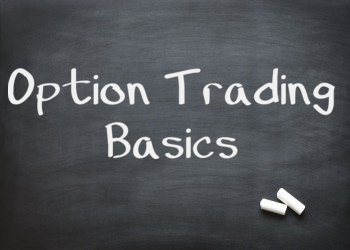 If there are too many people with orders at that level to either stop out or get filled on a new position, all of that order flow can easily be absorbed by funds and algorithmic traders looking for a "stop-run" pattern. 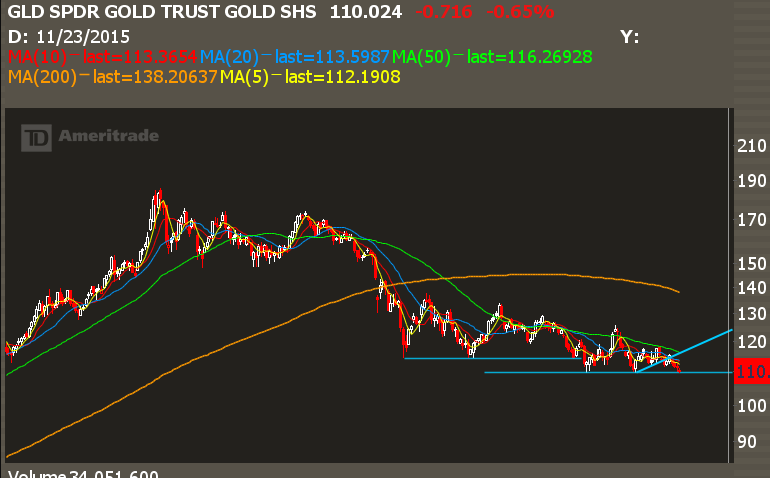 The price pattern I'm watching for in gold is a failed breakdown pattern. If the 110 level is violated but doesn't see any followthrough, and then it moves back above the breakdown bar's high... that's when you want to consider a countertrend trade. Waiting for the reversal is key! You don't want to try and buy a breakdown, you want to buy the reversal. If you try and buy the breakdown then you can get caught on the wrong side of a cascade lower. It's possible for failed breakdown trades to mark the exact bottom of a trend, but it's highly unlikely. This trade is a countertrend trade. 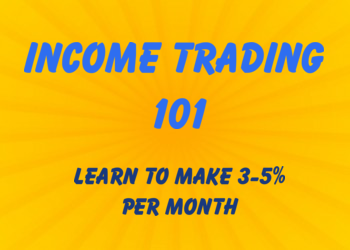 That means you'll want to scale out of half your position aggressively, and keep a tight trailing stop. Depending on your risk tolerance, you could consider bull put spreads or just long calls straight up once the reversal is confirmed. 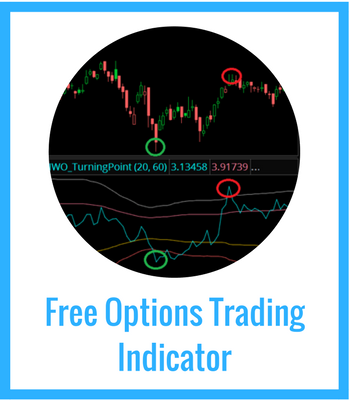 If you want more trades like this, become an IWO Premium member today.